Mernild et al (2013) is a new paper that has authors from several countries that I am co-author on with Knudsen, Malmros in Denmark, Hanna from UK, Yde currently in Norway and Mernild in Chile. The key items here are using the snow line observed on any particular melt season day (transient snowline=TSL) as input for mass balance assessment. This paper examines how similar the migration of the TSL is from year to year, and how ablation rate can be determined using it, when field data can be used for validation. 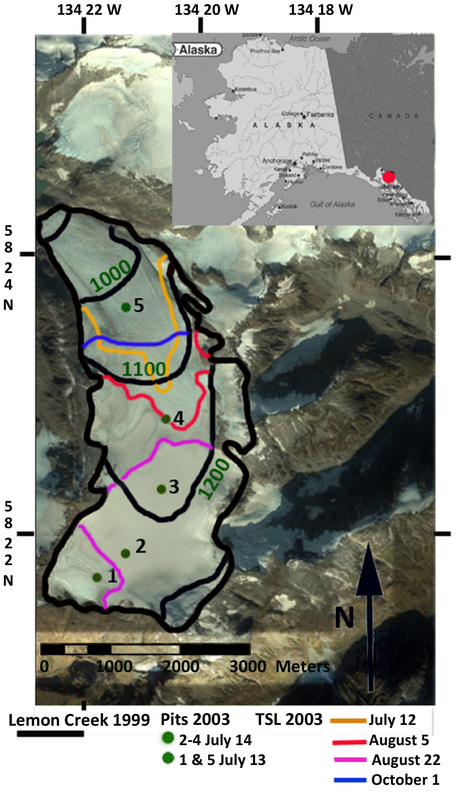 The first two images are figures from the paper of Lemon Creek Glacier and Mittivakkat Glacier illustrating the TSL at various dates. 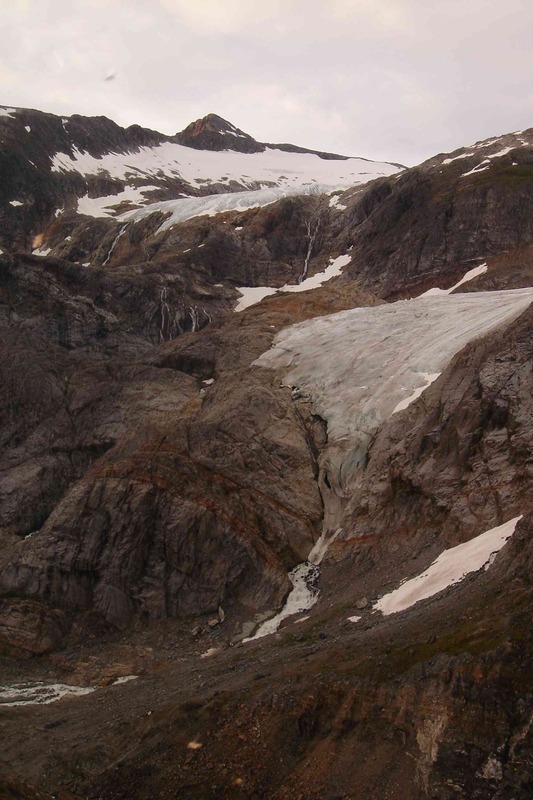 A second key is that if the progression is relatively repeatable towards the end of the melt season, than the equilibrium line altitude (ELA) can be determined, snowline at the end of the melt season, which is a key mass balance variable. Clouds often obscure the ELA from satellite image assessment, and this allows appropriate extrapolation. The figure below needs more data to determine the consistency and nature of the TSL variation at the end of the melt season, the ELA is the top of the parabola. 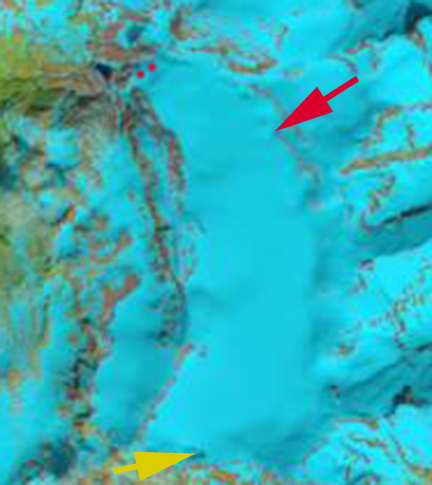 Base map of Lemon Creek Glacier in 2003 with colored lines indicating various dates of the TSL. 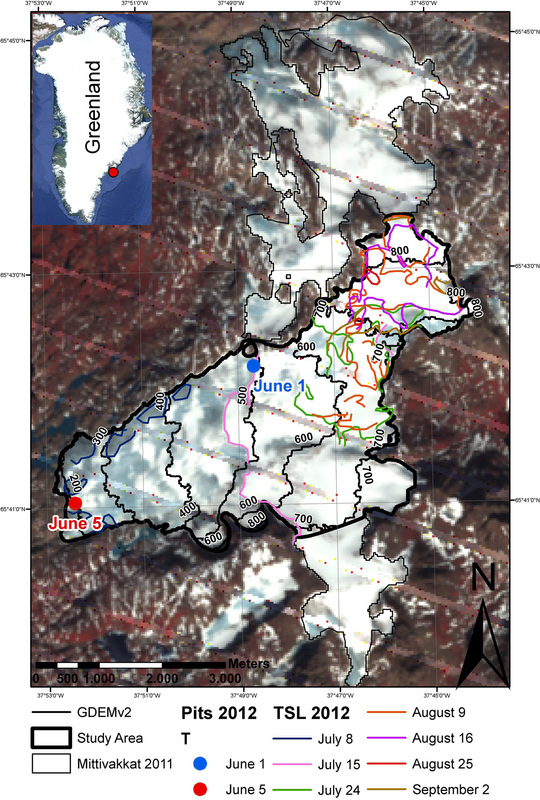 Base map of Miitivakkat Glacier in 2012 with colored lines indicating various dates of the TSL. Progression of the TSL approximated with a second order Polynomial, to help derive the ELA. 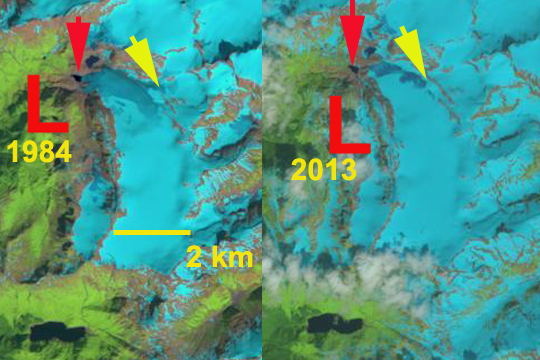 A good example of the utility is an examination of the Landsat 8 imagery from this summer. Alaska had a warm and relatively clear weather period that provided a rare chance to examine the TSL in three consecutive satellite passes on June 14, June 21 and June 30. 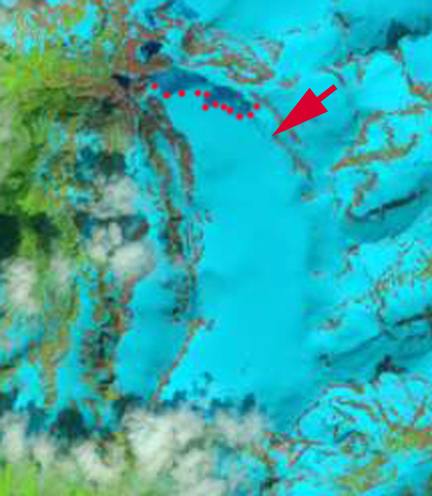 This period began with the glacier almost completely snow covered, red dots indicate TSL, red arrow indicates the 6/30 TSL. 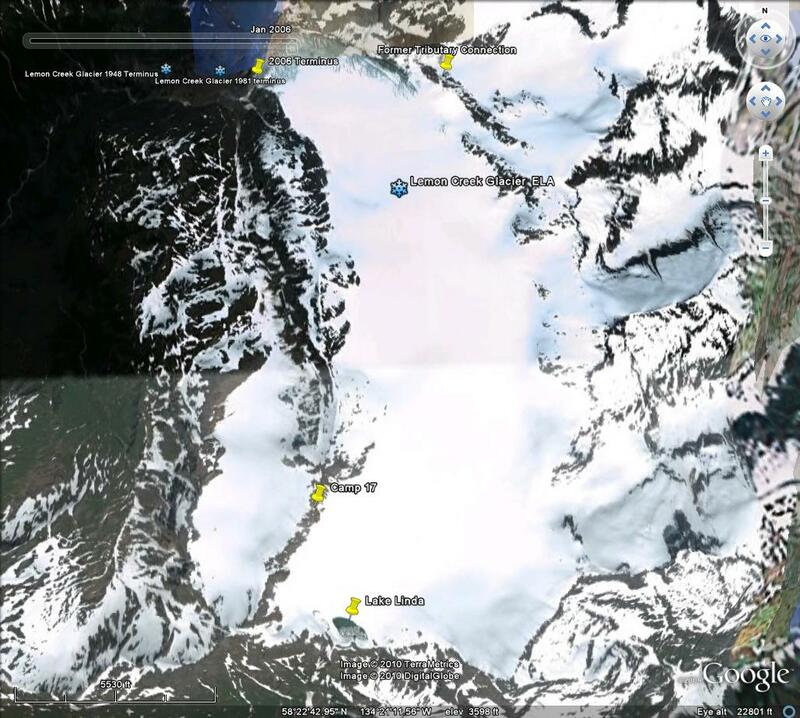 On June 14 the TSL was at 775 m within a couple of hundred meters of the terminus. 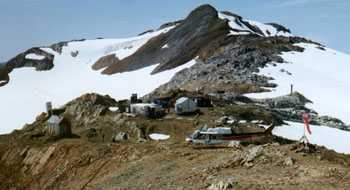 By 6/21 the TSl had moved up the northwest side of the glacier 1.5 km to an altitude of 900m. On June 30th the TSL was at 975m two kilometers from the terminus. 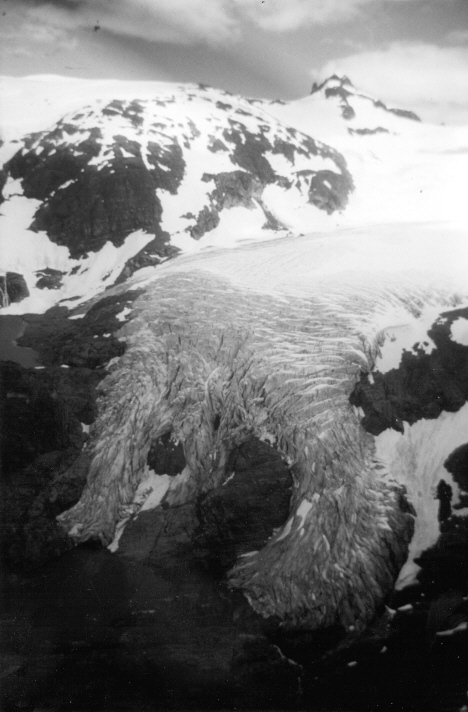 This progression up the northwest side of the glacier is typical. 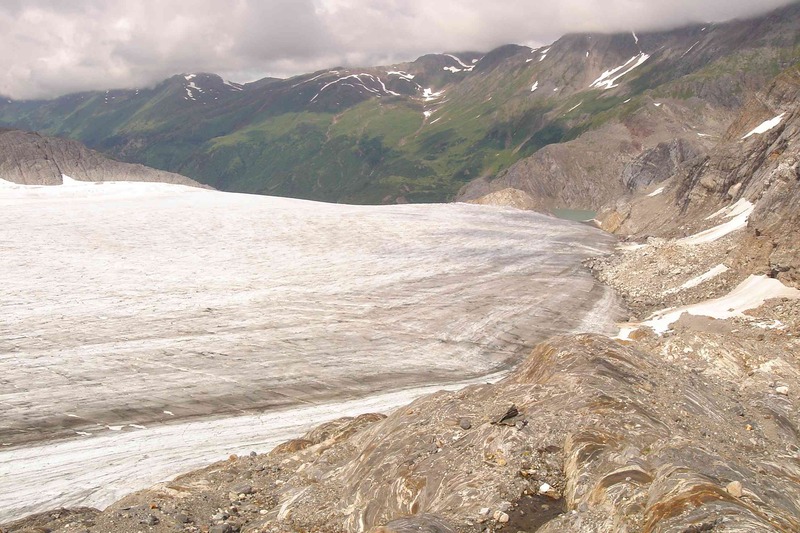 At the start of July the glacier is still 90% snowcovered. 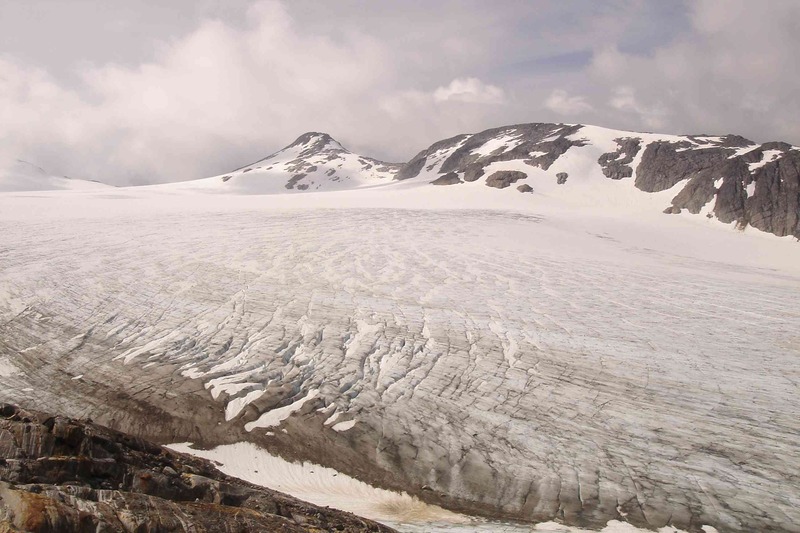 The Juneau Icefield Research Program is on this glacier in early July and field work will be critical to identifying snow depths above the TSL, that the TSL will transect later in the summer identifying ablation. 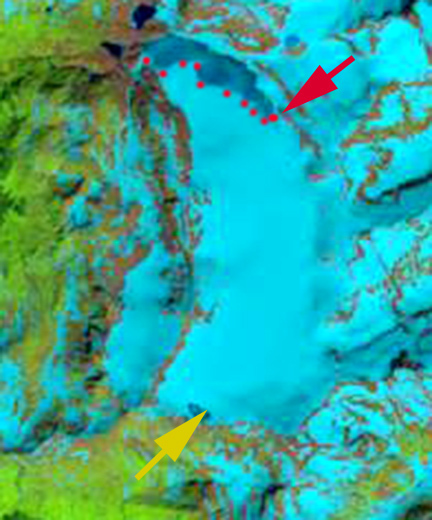 The yellow arrow indicates the formation of Lake Linda, a meltwater lake that forms on the glacier, the expansion from June 14 to June 30 is evident. Pictures of the lake from JIRP during self arrest practice are gorgeous. 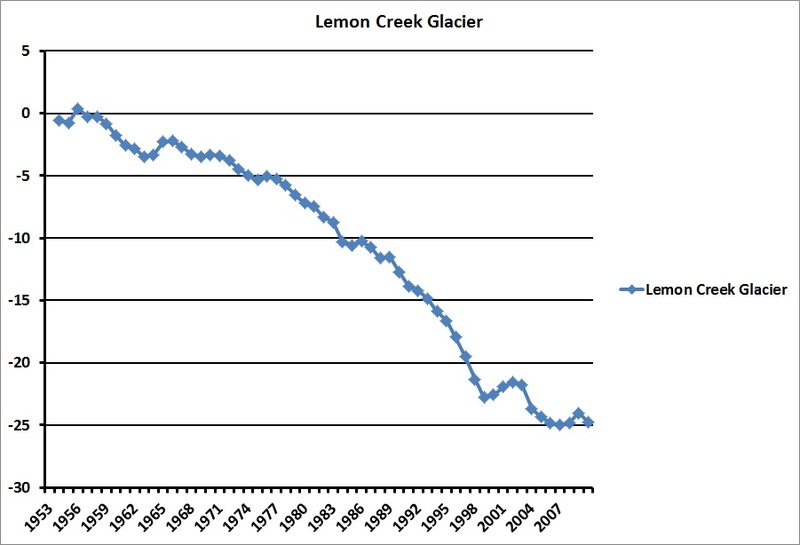 More detailed examination of the longer term change of Lemon Creek Glacier and Mittivakkat Glacier has been completed.